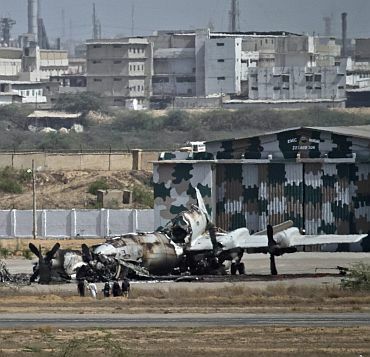 Even though Pakistani commandos managed to regain control of the key military airbase in Karachi from Taliban fighters after a 16-hour gun battle, they could not save two of the five US made P-3 maritime patrol aircraft from being destroyed. 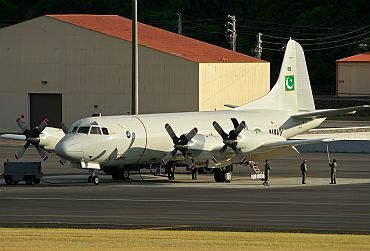 The P-3, which costs $36 million per unit, is the primary maritime patrol and reconnaissance aircraft operated by the Pakistan Navy. Its roles include anti-submarine warfare, anti-surface warfare, surveillance and reconnaissance, search and rescue, drug interdiction, economic zone patrol, airborne early warning and electronic warfare. On November 16, 2004 the US Administration had notified the Congress that Pakistan was to receive a $1.2 billion arms package from the United States, including the supply of eight Lockheed P-3 Orions. American Aerospace Maintenance And Regeneration Centre had previously been involved in the supply of P-3 Orions to Pakistan when they reactivated three embargoed P-3C Orions in 1996 and 1997 after the aircraft were withheld due to the Pressler Ammendment imposed in 1990. This amendment prohibited any United States Assistance to Pakistan if the President failed to certify Pakistan was not in possession of a nuclear explosive device. As part of the deal, the P-3Cs were upgraded to the Update III Anti-Surface Warfare Improvement Programme and Block Modification Upgrade Programme standards. The aircraft support anti-ship and anti-submarine warfare missions and enhance Pakistan's ability to conduct maritime surveillance in littoral and deep-water environments. The aircraft are designed to have a single integrated tactical picture of the battle space, drawing upon data from aircraft sensors and information from other platforms. "These aircraft incorporate a variety of enhanced features including communications, electro-optic and infrared systems, data management, controls and displays, mission computers and acoustic processing," said Mike Fralen, director for Lockheed Martin Mission Systems and Sensors' maritime surveillance programmes. Originally designed as a land-based, long-range, anti-submarine warfare (ASW) patrol aircraft, the P-3C's mission evolved in the late 1990s and early 21st century to include surveillance of the battlespace, either at sea or over land. Its long range and long loiter time have proved invaluable assets during Operation Iraqi Freedom as it can view the battlespace and instantaneously provide that information to ground troops, especially US Marines. 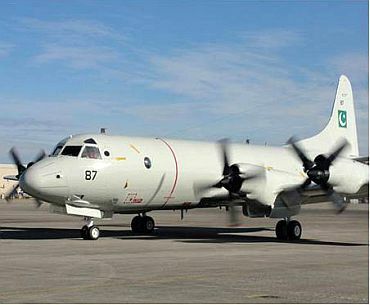 The P-3C has advanced submarine detection sensors such as directional frequency and ranging (DIFAR) sonobuoys and magnetic anomaly detection (MAD) equipment. The avionics system is integrated by a general purpose digital computer that supports all of the tactical displays, monitors and automatically launches ordnance and provides flight information to the pilots. In addition, the system coordinates navigation information and accepts sensor data inputs for tactical display and storage. 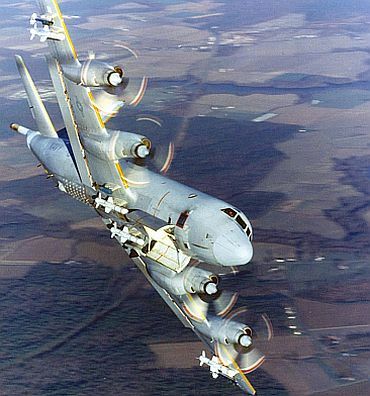 The P-3C can carry a mixed payload of weapons internally and on wing pylons. The P-3 can be outfitted with a variety of sophisticated detection equipment. Infrared and long-range electro-optical cameras plus special imaging radar allow it to monitor activity from a comfortable distance. It can stay aloft for extremely long periods, and its four powerful Allison T56-A-14 engines support high-altitude reconnaissance and low-altitude pursuits. And like all good hunters, the P-3 can carry a variety of weapons. In addition to submarine hunting, the P-3 is now called upon for over-land missions in peacekeeping and surveillance roles around the world. P-3s equipped with the latest electronic surveillance suites have changed the way battlefield operations are conducted. P-3s can be used to target strike points on the ground and relay real-time video surveillance to the battle group. The aircraft is also used to scout ahead of ground convoys and warn of potential dangers, protect shipping lanes and deter pirates, thwart drug smuggling attempts, prevent illegal immigration and perform anti-terrorism missions.